Reviews of new albums from Dark Forest, Delain, King Company, Kiss and Wretch. The ratings are on a 5 star scale. 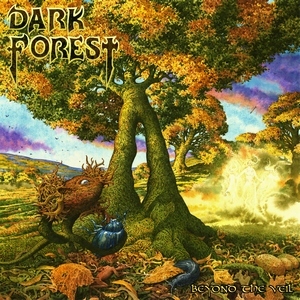 Dark Forest’s latest album Beyond The Veil is an ambitious and epic release, clocking in at more than 73 minutes with several lengthy songs.The British band infuses some folk elements into their soaring power metal, which adds variety and gives them a distinctive sound. 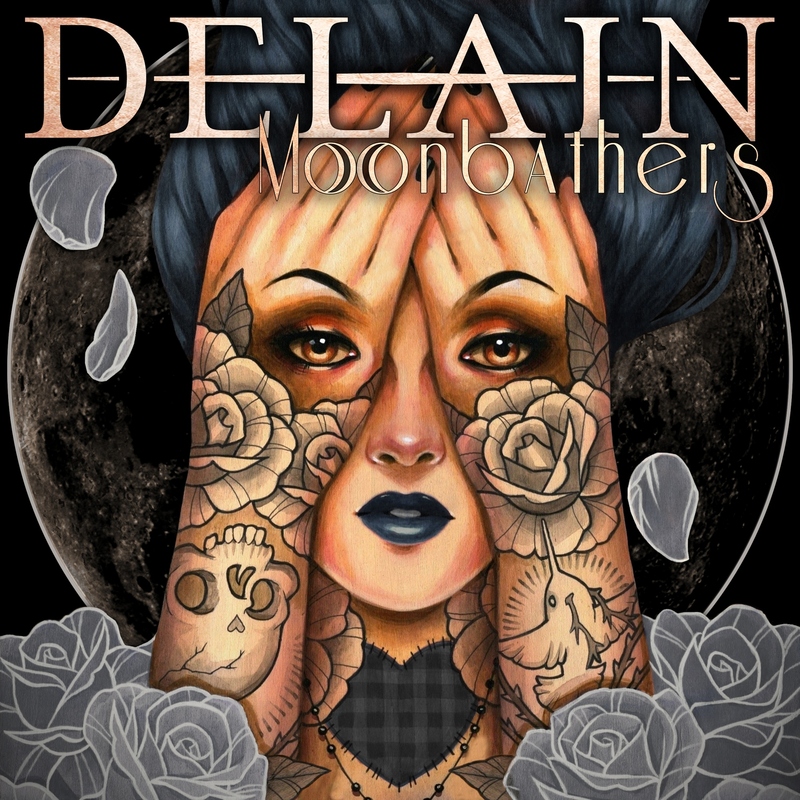 Fans got a sneak preview of a couple of the songs on Delain‘s latest album Moonbathers when the EP Lunar Prelude was released earlier this year. Now we are hearing the rest of the tracks on their fifth full-length. It’s similar to their recent albums with bombastic metal, symphonic moments, catchy melodies and the unmistakable voice of Charlotte Wessels. The opening track “Hands Of Gold” features guest vocals from Arch Enemy’s Alissa White-Gluz, whose aggressive growls provide a nice contrast to the smooth style of Wessels. In addition to their own hook-laden, slickly produced songs, they cover the Queen track “Scandal” from 1989’s The Miracle. Doing a Freddie Mercury song is a challenge, but Wessels is up for it. Overall Moonbathers doesn’t have the depth of quality as 2014’s The Human Contradiction, but with memorable songs like “Fire With Fire” and “Turn The Lights Out,” it’s still a strong release. 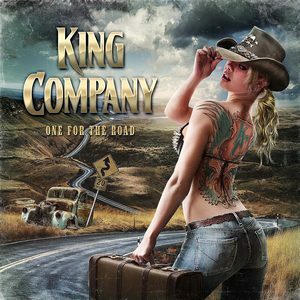 One For The Road is the debut album from the Finnish band King Company, made up of musicians who have worked together before in previous projects. Thunderstone’s Pasi Rantanen is the vocalist, with other current and former members of Thunderstone, Warmen and other groups rounding out the lineup. They play straightforward guitar driven heavy metal/hard rock tailor made for arenas. The production is modern, but you can hear the ’80s influences. Rantanen has a bluesy edge to his voice and a wide range, and many of the songs are extremely catchy. The group of veteran musicians delivers a well-played and enjoyable album. 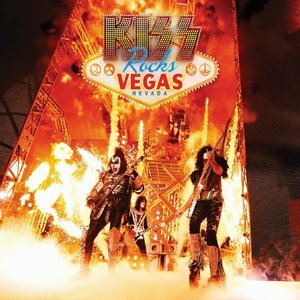 In 2014, Kiss played a residency in Las Vegas. Their performance is captured for posterity with Kiss Rocks Vegas, available on DVD/CD, Blu-ray/CD, DVD/2LP and a deluxe DVD/Blu-ray/2CD edition. The 16 song set includes numerous classics like “Detroit Rock City,” “Deuce,” “Lick It Up,” “Shout It Out Loud” and “Rock And Roll All Night.” The DVD includes an additional 7 song acoustic set with “Beth,” “Hard Luck Woman,” “Christine Sixteen” and more. While no means essential, it’s a good representation of this era of the band playing an excellent set of some of their greatest hits. For the past quarter century, Germany’s Wacken Open Air has been one of the world’s premiere festivals, known for their massive enthusiastic crowds and first-class lineups. 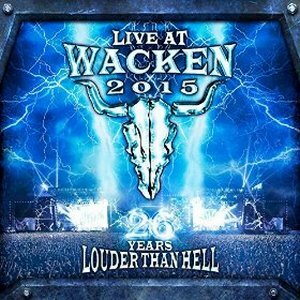 Live At Wacken 2015 is a 2 DVD/2 CD set packed with material from 2015’s festival. The DVDs have 53 songs, the CDs 35. The artists represented include Judas Priest, In Flames, My Dying Bride, Sabaton, Cannibal Corpse, Danko Jones, Cradle Of Filth, Death Angel, Biohazard and many more. It’s a great sampling of the festival for those who were there and those who wish they were. After the breakup of Gates Of Slumber, Karl Simon formed Wretch, which also includes drummer Chris Gordon (who was in Gates Of Slumber in the early 2000s) and bassist Bryce Clarke. Created in the aftermath of the death of Gates Of Slumber bassist Jason McCash, Simon says all the songs on the self-titled record are about McCash, about him, about their life and McCash’s death. The first half of the album is mostly uptempo sludge. Their cover of the Judas Priest song “Winter” (from Priest’s 1974 debut album Rocka Rolla) transitions into the second half of the record, which is doomier and slower-paced. 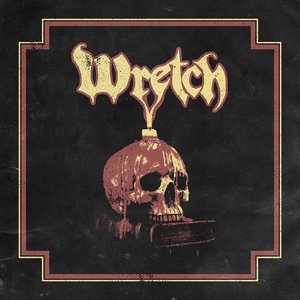 While similar to Gates Of Slumber, Wretch do establish their own identity. It’s an emotional, cathartic and deeply personal album.